Written by: Timothy R. Jennings M.D. Christian psychiatrist Dr. Timothy Jennings wants to release us from this prison. 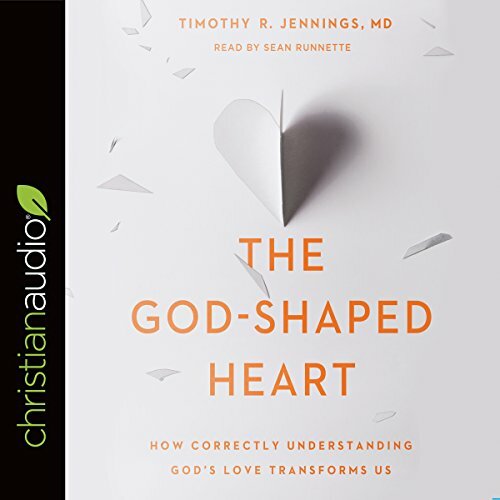 With powerful examples from case studies and from Scripture, Jennings shows believers who are stuck in addiction, violence, fear, and broken relationships how to experience true freedom through God's transforming love to experience greater health, fulfillment, and well-being. The most adequate interpretation of God and His love. Works well at disposing fear, enlightening those who seek a true revelation of who God is through Jesus Christ. Cleared up so many questions. made so much sense. I felt relieved. Made me feel love not fear towards God. What a blessing. The author presents some interesting concepts regarding religious natural law and imposed law. Basically the difference between behaving to stay out of trouble and behaving because it is right. However in discussing these topics he condemns just about ever religious person in existence . The author also claimed knowledge of and insights into the Bible well beyond the text and established scholarship on the subject. His ideas would have made an interesting short essay but instead he filled his book space with very repetitive ramblings.